We're just four days away from Apple's 2017 iPhone-centric event, and this year's keynote promises to be the most exciting we've seen since the larger-screened iPhones came out in 2014. For the first time in 10 years, the iPhone is getting a complete overhaul, both inside and out, with the most advanced technologies Apple has to offer. While the new iPhone will be the star of the event, we're also expecting to see new versions of the Apple Watch and the Apple TV, both coming with some highly anticipated features. For an idea of what to expect on September 12, watch the video below and read the post for even more detail, but be warned: there are some serious spoilers here based on all of the rumors we've heard about Apple's plans so far. It's been 10 years since the original iPhone was introduced, and to celebrate the anniversary of the device that changed the world, Apple has been working on a re-engineered iPhone that will dictate the next 10 years of smartphone development. We started hearing the first rumors of a radically redesigned iPhone in early 2016. Hints of an OLED display came in March of 2016, and in May, Daring Fireball's John Gruber said it would feature an all-new form factor with an edge-to-edge display. Apple tested more than 10 prototype devices while developing the new iPhone leading to considerable confusion over what we could expect, but over the last month or two, rumors have consolidated and given us a clear idea of what's coming. 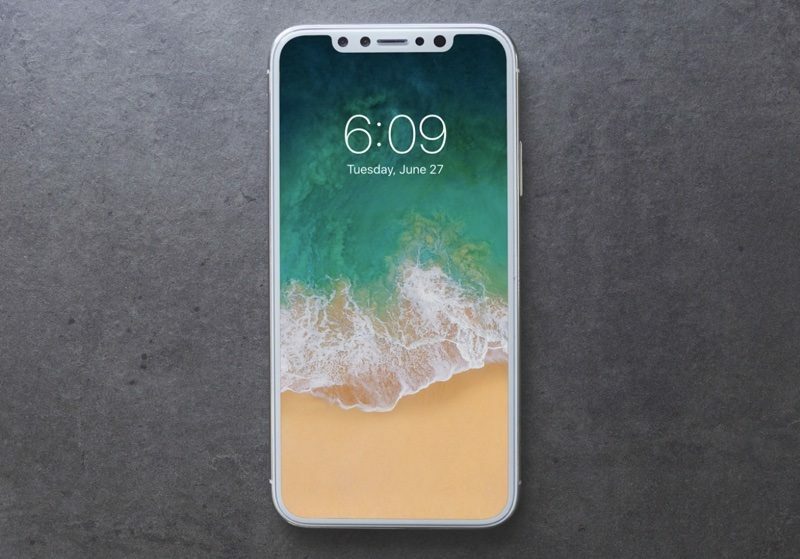 The upcoming redesigned iPhone, which could be called the iPhone 8, the iPhone Pro, the iPhone Edition, or something else entirely, is expected to feature a 5.8-inch OLED display that's taller and slightly wider than the display of the iPhone 7 Plus, with rounded corners. It has super slim bezels around all sides, but there are no thicker bezels at the top or the bottom aside from a top "notch" that houses the front-facing camera and its accompanying sensors. In a nutshell, it's all display. With no bottom bezel, there is no space for a Home button, and Apple is said to be shifting away from the Home button concept entirely. Rather than a virtual Home button, the new iPhone, which we'll refer to as the "iPhone 8," may adopt a gesture system similar to what's used for the iPad in iOS 11. A thin, omnipresent bar at the bottom of the screen will be used to access the Home screen and the App Switcher when dragged upwards, with the gesture and an app dock replacing Home button functionality. As for that notch at the top, the traditional status bar icons, like time, signal strength, and battery, are split up and located to the left and right of the cutout. The iPhone 8's OLED display offers several benefits over a traditional LCD display, including brighter, more vivid and true-to-life colors, improved viewing angles, better contrast for whiter whites and blacker blacks, faster refresh rates, and the potential for better power efficiency when fewer pixels are lit. That OLED display is built into an enclosure that's made of glass, a departure from the aluminum Apple has stuck with since the iPhone 5. The design of the iPhone 8 is actually similar to the iPhone 4 and 4s, featuring a glass body encased in a stainless steel frame with small antenna cutouts in the steel band for improved reception. Size wise, it's on par with the iPhone 7, but it will be taller, and the general body design is the same. At the back, there are cutouts for a dual-lens vertical rear camera and flash, while one side features the standard volume buttons and mute switch. At the other side, there's an elongated sleep/wake button that's meant to be easier to press with one hand, and there is evidence it could be used for activating Siri. 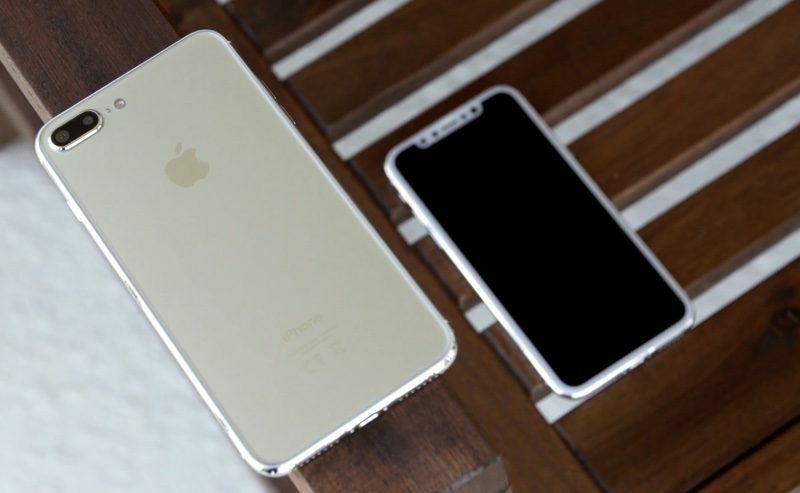 Rumors suggest Apple will limit the number of colors available for the iPhone 8, and we can expect that glass body to be available in Silver, Black, and perhaps a more coppery shade of gold that's been referred to as "Blush Gold." iPhone 8 dummy models have been spotted in all colors and with both black and white front bezels, but rumors have been mum on whether Apple is truly planning a device with a white face, which could perhaps be jarring given the edge-to-edge display and the front notch. Like the iPhone 7 and the iPhone 7 Plus, the iPhone 8 will be water resistant and able to withstand splashes, rain, and other incidental water exposure. As with previous-generation devices, no headphone jack will be included. Apple has opted for a glass body to implement an inductive wireless charging feature, similar to what's available for the Apple Watch. Said to be based on the Qi wireless charging standard, Apple's solution will allow the iPhone 8 to be charged wire-free using a separate accessory, but body contact between the iPhone and the accessory is required. The iPhone 8 may charge at 7.5 watts of power, and its compatibility with existing Qi accessories is unknown. Qi is an open standard already used by many Android devices, but Apple may require manufacturers to acquire a Made for iPhone license before developing a charging accessory. Depending on Apple's methods to restrict inductive charging, it may not be available right out of the box - there have been rumors Apple will delay the feature and accompanying Apple-made wireless charging accessories until later in the year. Along with its external revamp, the iPhone 8 will feature overhauled internal components, including a new biometric system replacing Touch ID: facial recognition. Facial recognition popped up in early iPhone 8 rumors, but until July, it was believed to be a feature that would co-exist with Touch ID, rather than replace it. Apple seems to have experimented with putting Touch ID under the display of the device or on the rear of the device, based on rumors and prototypes, but neither of those ideas panned out. Instead of fingerprint-based authentication, the iPhone 8 will unlock the iPhone and authenticate payments/passwords with a new facial recognition system. Facial recognition as a replacement for Touch ID has been controversial with MacRumors readers given the poor implementation by other companies like Samsung and questions on how it will work, but Apple's technology is said to be superior to other solutions and more secure than Touch ID. Using a 3D system built into the front of the iPhone 8, the device can be unlocked within a few hundred milliseconds, and it works from multiple angles, including when it's lying flat on a table or making an Apple Pay purchase in a store. The 3D sensor scans the topography of the face and collects more data than a fingerprint scan, so it is not able to be fooled by photographs or other facial replicas. Because the iPhone 8 uses an infrared sensor to cast light on its surroundings to make the 3D face map, it also works in the dark and in other conditions where lighting is poor. It's not clear how Apple will deal with sunglasses and hats, but there are enough modern 3D facial recognition systems already on the market to suggest this is unlikely to be a major problem in Apple's solution. Machine learning, thermal imaging, and partial detection are all techniques that can be used to mitigate face blocking factors. Aside from the addition of 3D sensors, we don't know much about the cameras on the iPhone 8. Those 3D sensors on the front-facing camera are likely to enable improved augmented reality features, and similar improvements could be made to the rear camera, which is oriented vertically instead of horizontally, supposedly for augmented reality purposes. Both lenses of the rear camera are expected to feature optical image stabilization, and while there will undoubtedly be other improvements, we don't know what they are yet. Powering the iPhone 8's new technology is an A11 chip manufactured on TSMC's 10-nanometer process for more power, better efficiency, and a smaller size. The device is rumored to include 3GB RAM, a stacked logic board design to make better use of space, and an L-shaped battery for longer battery life (think iPhone 7 Plus battery life in an iPhone 7-like form factor). Rumors on storage space have been mixed, but we could see 64, 256, and 512GB options. Other rumored features we know little about include a new 3D Touch module, an enhanced Taptic engine with a high-performance motor for a wider range of tactile vibrations, fast charging with a USB-C power adapter, and speaker improvements with better sound consistency. All of the iPhone 8's features aren't expected to come cheap. Pricing for the phone, which may be positioned as a high-end "premium" device, is expected to start right around $1,000. It could also be hard to come by for quite some time -- there have been persistent rumors of manufacturing issues and supply constraints, and recently, there's been a rumor suggesting the device won't ship out to customers until later in the year. For more on the iPhone 8, make sure to check out our iPhone 8 roundup. Apple plans to sell the OLED iPhone 8 alongside two more moderately priced devices, which are upgrades to the current iPhone 7 and iPhone 7 Plus. The iPhone 7s and the iPhone 7s Plus (these names are guesses too) won't get the OLED display or facial recognition system coming to the iPhone 8, but these devices are also expected to be significant upgrades over the previous generation. The iPhone 7s and 7s Plus will continue to feature the same body style Apple has used for the last few years, with thick top and bottom bezels, a Touch ID Home button, and a standard LCD display. 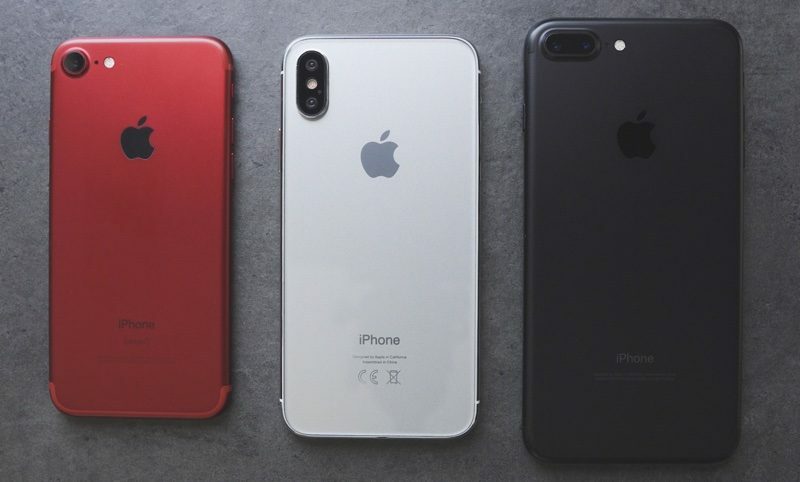 They will be available in 4.7 (iPhone 7s) and 5.5-inch (iPhone 7s Plus) sizes, and are likely to be priced similarly to the iPhone 7 (starting at $649) and iPhone 7 Plus (starting at $769). While the front of the two devices will look the same, they're expected to adopt glass bodies to support the same inductive wireless charging feature that will be available in the iPhone 8. Unlike that device, though, rumors suggest the more affordable devices will feature aluminum banding instead of stainless steel. 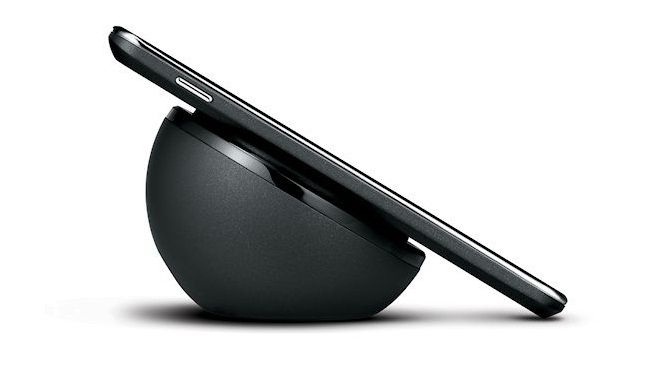 With a glass backing, the new phones will work with the wireless charging accessories Apple is expected to release. Inside, the iPhone 7s and 7s Plus will use the same A11 chip as the iPhone 8 so performance will be similar, but the devices will not include the same front and rear-facing camera systems. The iPhone 7s Plus is expected to continue using a horizontal dual-lens rear camera, while the iPhone 7s will continue using a single-lens camera. Neither device is expected to have the front-facing 3D sensor setup necessary for facial recognition, and both will continue to offer the traditional haptic-based Home button with Touch ID fingerprint authentication. 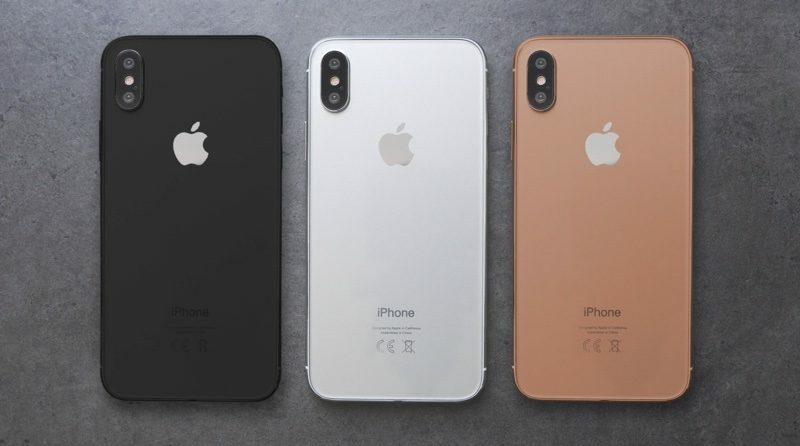 The two devices may only be available in three colors -- black, silver, and the same new coppery gold shade expected for the iPhone 8 -- and it's not entirely clear what storage options will be available. There will be no headphone jack and the bodies are expected to continue to be water resistant and able to stand up to light water exposure. Most rumors have focused heavily on the iPhone 8, so if there are other internal component improvements coming to the iPhone 7s and iPhone 7s Plus, like better cameras, more RAM, or other upgraded features, those will be a surprise. A third-generation Apple Watch will be introduced in September, and its main selling point will be an optional LTE chip that will allow the device to be fully uncoupled from the iPhone. Apple is expected to offer both LTE and non-LTE third-generation Apple Watch models. Aside from LTE functionality, the new device may feature better battery life, an upgraded processor, and perhaps a few other improved internal components, but there won't be any "obvious change" to the form factor. There have been mixed reports about the design of the watch, so it's possible there could be smaller, less noticeable refinements and tweaks. Instead of major design changes, Apple is said to be focusing on under-the-hood improvements to boost performance and offer more battery to compensate for LTE connectivity. Though the Apple Watch will feature LTE for standalone connectivity, it's not expected to be able to make traditional phone calls. VoIP calls are an option, though. 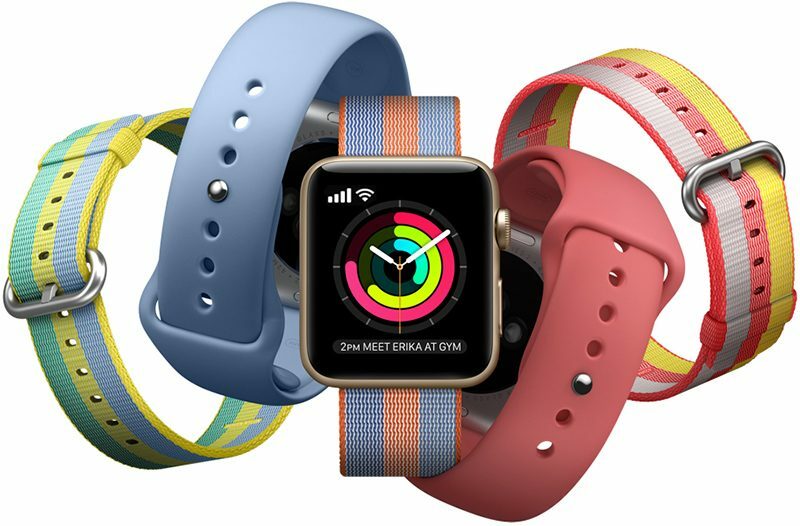 As always, we can expect the new third-generation Apple Watch to be sold alongside a selection of bands in new colors and perhaps new materials. For more info on the third-generation Apple Watch, make sure to check out our Apple Watch roundup. The Apple TV is expected to receive its first update since 2015, with Apple planning to introduce a refreshed set-top box that features a faster processor and support for ultra high definition 4K video playback. Along with 4K, the new set-top box is said to support High Dynamic Range (HDR) video for brighter, more accurate colors. 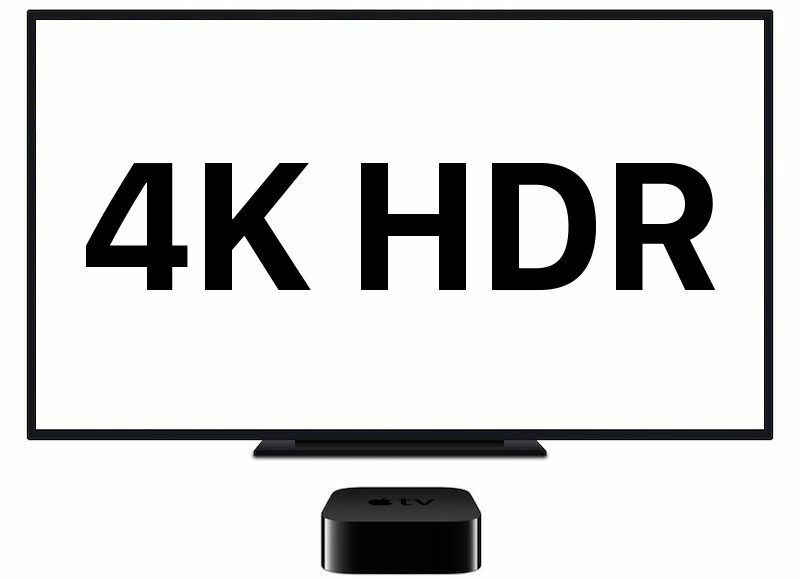 Apple is planning to introduce 4K iTunes content to go along with the 4K Apple TV, but the company is having some trouble negotiating deals with content providers. Apple reportedly wants to charge $20 for 4K movies, while studios would prefer them to be sold for $25 to $30. Aside from the addition of 4K support, we're not expecting any major changes to the Apple TV, and it is expected to continue to be available in the same form factor with Siri Remote. For additional details on the new Apple TV, check out our Apple TV roundup. Following Apple's iPhone event, we're likely to see golden master versions of iOS 11, macOS High Sierra, watchOS 4, and tvOS 11, representing the final software that will be released to the public. 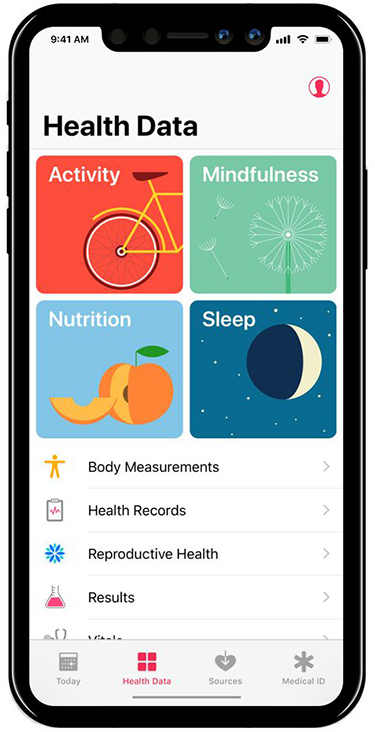 Official public releases of watchOS 4, tvOS 11, and iOS 11 are likely to come a few days ahead of the official launch of the new iPhones, while macOS High Sierra could be released shortly after. If you want to know more about Apple's upcoming software, we have detailed roundups available: iOS 11, macOS High Sierra, tvOS 11, watchOS 4. Apple's iPhone event will kick off at 10:00 a.m. Pacific Time on Tuesday, September 12. Apple plans to live stream the event, but if you can't watch, MacRumors will be live blogging the keynote both on MacRumors.com and our MacRumorsLive Twitter account. As always, we'll also have extensive coverage of the new devices following their introduction, so make sure to stay tuned. Is it just me or is the iPhone 8 the ugliest iPhone that Apple is going to produce? This camera sticking out for the 3rd time on an iPhone is absurd. Get this thing flush would you!?!? No matter what they put on the inside, that phone looks hideous. Most certainly the top part looks so astoundingly ugly. Unbelievable if apple pulls that kind of design aesthetics out. I expect Apple will announce some magical products that are their best ever and they think we're gonna love. (Ok, yes part of me just wanted to post that one more time before the official announcement). I still find this new iPhone redesign a bit odd from what I've seen of it, and whilst I'm pleased it's not truly edge-to edge (from a usability point of view) I am still a little bemused at the drive towards having such reduced bezels that the device has to lose the home button (and TouchID presumably) and adds the need for the notch. Hopefully both Touch ID and the camera notch (frown? whatever we are gong to call it) can be somehow incorporated underneath the screen in future models, and that will be the best of all worlds. Ready to buy multiple 4K:apple:TVs with HDR ASAP. along with Ive saying 'ALUMINUM" about a hundred times. but hope they talk about an iPhone in between all of that. Also hoping for an iPhone SE 2, especially if it has iPhone 7 internals. I doubt it, because there's no rumor buzz, but that would make my day. Question is: what's been the trend on timing between announcement to shipping day for apple TVs? Are they generally available soon after? Is it just me or is this the most ugly iPhone ever?